…True Star started as one simple journalism program serving 17 students. In its first year, students came up with the name True Star, designed the logo, created the editorial philosophy and developed the content for a four-page newsletter. Since that initial program True Star Foundation has grown to eight programs, providing over 500 Chicago youth with after-school and summer apprenticeship programs annually. The media produced has also grown from a newsletter into two quarterly magazines, a blog, a youtube channel and radio show. But not only do youth create the media, they advise and execute business strategy, develop sponsorship proposals, sell advertising space, develop marketing campaigns, and are the ultimate decision makers of the brand and direction of the organization. The True Star brand represents the voice and vision of urban youth. It is a platform for youth to inform, inspire, entertain, and educate their peers. 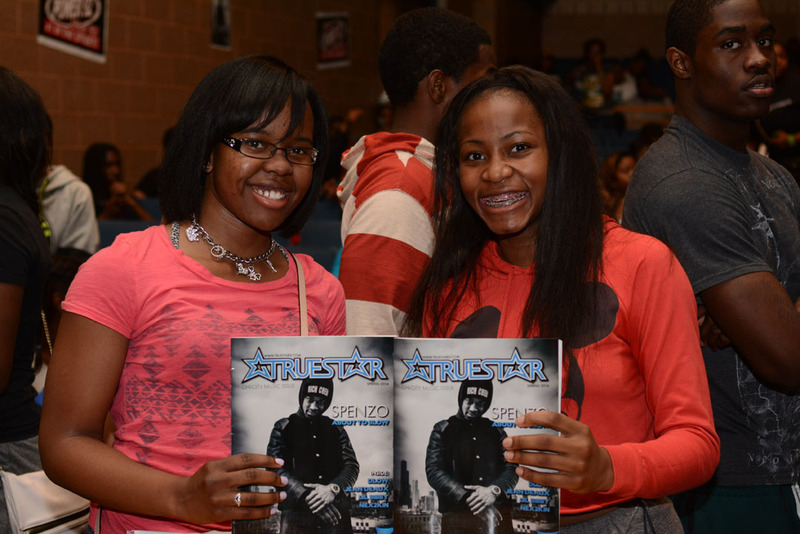 True Star offers an alternative to the negative images of urban youth in today’s media. Through various programming, the organization offers unique opportunities for youth to create and be the center of their own media. With this, they learn skills in advising and executing business strategy, advertising sales, marketing, and the conclusive direction of the brand and media. True Star Foundation is a nonprofit organization that provides a creative outlet in the form of literary, media arts, and professional development programs for predominately minority male and female youth, ages 11-21, in the metropolitan Chicago area. The True Star Foundation’s mission is to demonstrate healthy transitions for youth coming into early adulthood by exposing them to real world experiences in the workforce through the development of their own media and being an intricate part of the strategic direction and overall business operations of the organization. True Star puts youth in leadership positions, implements their ideas and essentially lets them run the business; fostering the feelings of hope and independence. True Star goes beyond just telling youth what success looks like – they show them. To inspire dreams so that young people may find their voice, choose their path, and prepare for life. Founder & CEO, Yolobe, Inc.